Are you in the market for a new RV? Have you considered the Forest River brand? The Forest River lineup of haulers, fifth wheels, travel trailers, camping trailers, motorhomes, and destination trailers is extensive and could be perfect for you. Here’s why. If you want to take a look at all of our Forest River RVs, you can find lots of models on our lot at RVs of West Texas Superstore near Abilene, TX. Forest River has been in the business for more than 20 years. The brand got its start in 1996. Since then, Forest River has grown to be one of the largest RV manufacturers in North America, meaning you can find an RV or trailer from the brand to fit your needs. The most important aspect of Forest Rivers is the quality of the RVs. No matter which model you purchase, you can trust that it was designed for dependability and safety. For further quality assurance, random units from every model line undergo stringent testing at the 20,000-square-foot pre-delivery inspection building. These random inspections are, of course, on top of the regular inspections that every single unit must undergo when it is built. If you are purchasing an RV or a trailer for your outdoor adventures, you probably have a lot in common with the FROGs. Yes, you read that correctly. FROG stands for the “Forest River Owners’ Group,” which was formed in 2011. This group now includes more than 90,000 members, all of whom love the outdoors and participate in tours and rallies across the continent every year. When you purchase a Forest River RV, you can join this exclusive club. RVs are tremendous investments for you and your family. 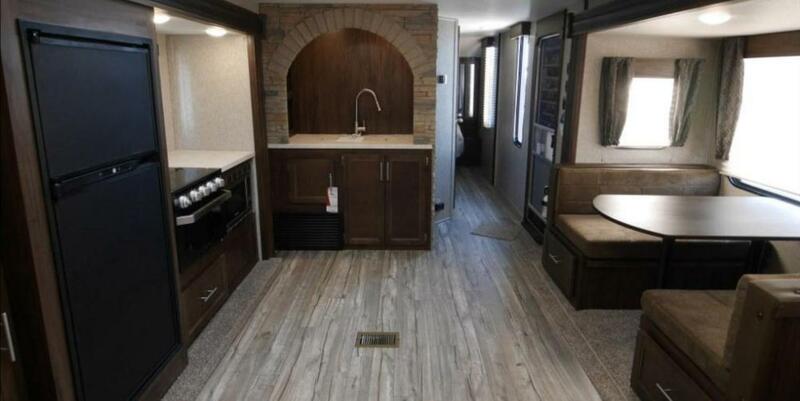 Forest River understands that you still want money in your pocket to fuel your adventures for years to come, so it makes its RVs as affordable as possible.